A drone maker has just made a camera built to be smaller and more stable than anything you might hold by hand, and at $599, it’s a camera that could seriously grab some attention. In the world of cameras, there’s a fantastic little technology called a “gimbal”. It’s not a new technology, but it is one that is gradually becoming more common, and you mostly have drones to thank for that. For those who don’t know what this is, you can think of a gimbal as an image stabiliser, allowing cameras and lenses to remove the camera shake and replace it with smooth motion. Using a little bit of technology in the gimbal, the camera remains steady, which means the camera footage doesn’t turn into the shaky-cam image that plagues most video shot on phones or small cameras. In fact, some digital cameras try to get around needing a gimbal by stabilising the video inside the camera, using algorithms to do so. But nothing beats true stabilisation handled from outside the camera, as it can make video seem properly professional. Gimbals and stabilisation systems tend to be based around the tripod mount on cameras, and most don’t generally cost a fortune, with gimbals made for phones, cameras, and digital SLRs, but they can get expensive. Depending on the size of the gimbal, you can spend as little as $99 and as high as $11,000 if you need that sort of quality in your life. DJI this week has announced a new type of pocket gimbal, and it’s one that comes with the camera, so it’s all put together for you. Think of this as the all-in-one stabilised camera made for everyone, because that seems to be the approach. 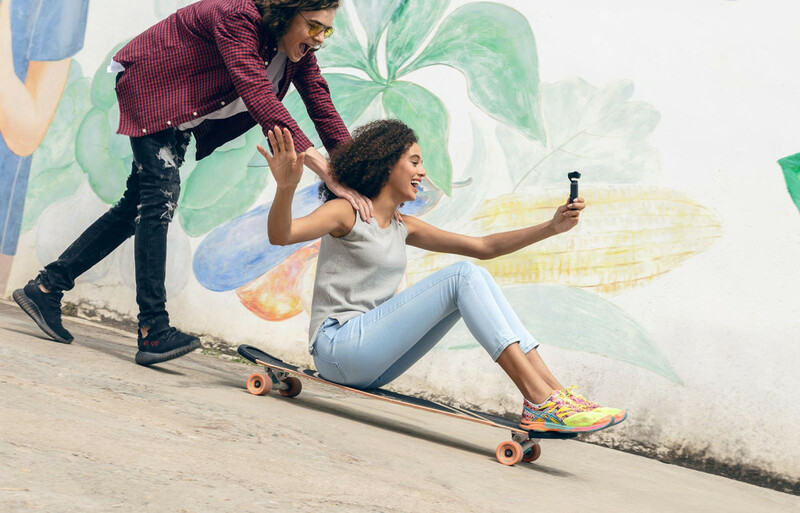 It’s called the Osmo Pocket, and it’s DJI’s pint-sized version of its larger Osmo, what was originally a camera mounted to a gimbal and handheld monopod (like a selfie stick) to let you capture the world in a stabilised way. The most recent version of that camera is fairly small, but comes with a significant thousand dollar cost, and that’s something the Osmo Pocket aims to do away with, reaching a smaller size and a smaller price tag of $599 locally. While the camera and monopod holding it are small, measuring around 10 centimetres, the output isn’t necessarily so, with support for 4K Ultra HD at up to 60 frames per second, as well as 12 megapixel stills if you don’t care about video. 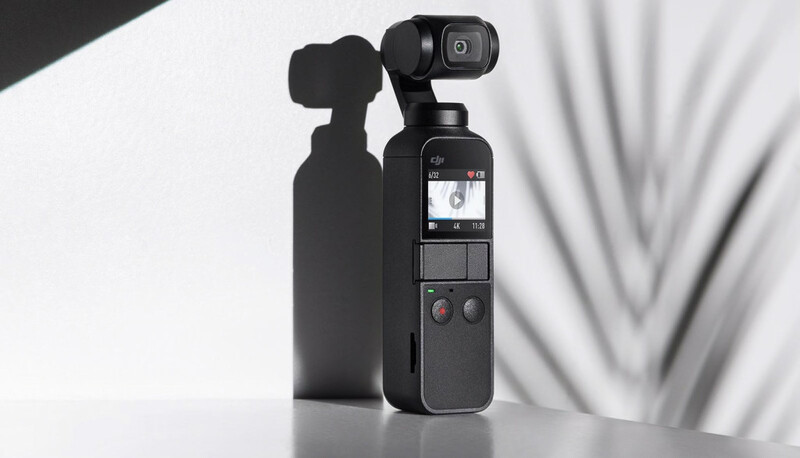 The camera is connected directly with the gimbal and monopod, which means the DJI Osmo Pocket is not water resistant, so it’s not part of the action camera part of the market. Despite that, it is still made for exploration, as it caters for stabilised video as you walk, run, or generally just go about your life filming. There’s also a 1 inch touchscreen built in, so that you can view the video as you capture it. 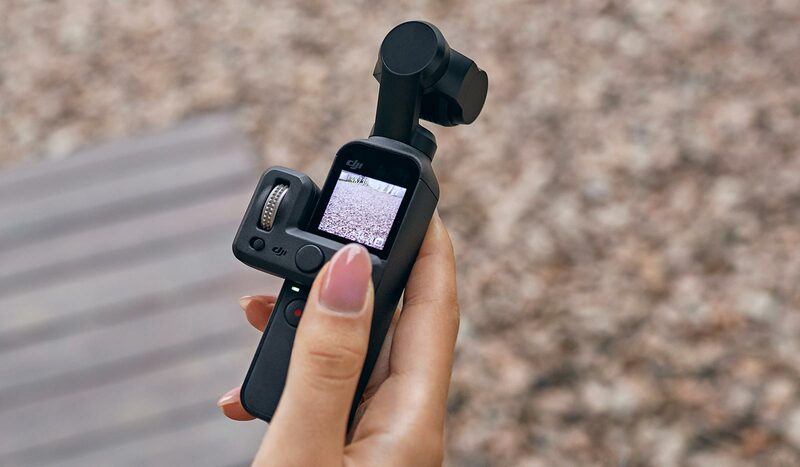 “Innovation is at the heart of every product we create and DJI Osmo Pocket is here to change the way photos and videos are captured, not just by professionals but by parents, couples, adventurers, travelers, and everyone in between,” said Roger Luo, President of DJI. “Osmo Pocket is a portable personal camera crew and we can’t wait to see how people use it to capture their stories and share them with the world,” he said. Interestingly, DJI has also thrown in a port under the camera to let you plug in your phone and use it as a monitor, with support for either the iPhone’s Lightning port and Android’s USB Type C, with the DJI app “Mimo” offering both a simple creative “story” mode for your capturing, while a “pro” mode will offer more control. DJI’s Osmo Pocket with the optional Controller Wheel attachment to provide more precise controlling of the gimbal. 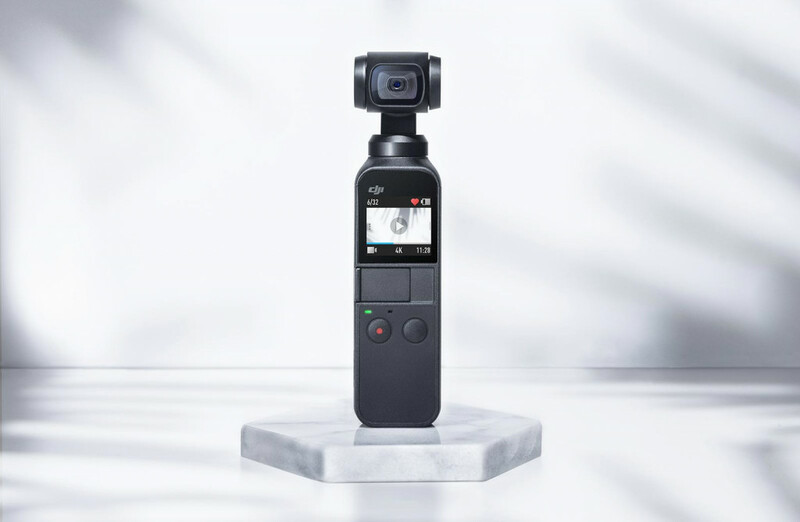 There’s also face tracking built into the Osmo Pocket, as well as support for panoramas, timelapses, and a “motionlapse” variant of timelapse videography that moves the camera as time goes by. You may want to keep the DJI Osmo Pocket plugged into a power source through a timelapse or motionlapse, however, as the camera is rated for only two hours video in 4K at 30 frames per second, and a long timelapse may be out there for a little longer. DJI’s Osmo Pocket will be coming to retailers in December, hitting stores from December 15 for a recommended retail price of $599.